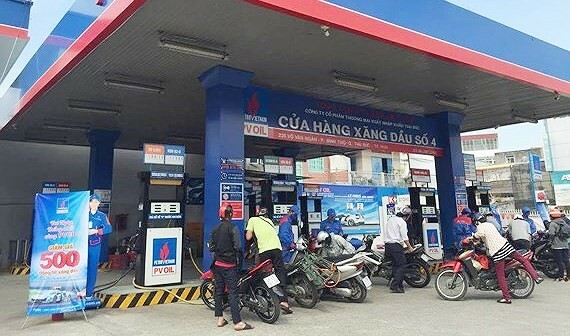 The prices of fuel in Vietnam unexpectedly jumped on April 2 under the order from the ministries of Finance and Industry and Trade. Accordingly, the price of biofuel E5 RON92 surged VND1,377 per liter to VND18,588 per liter. The price of RON95-III gasoline soared VND1,484 per liter to VND20,033 per liter. Diesel oil 0.05S was sold at VND17,087 per liter, up VND1,219 per liter. Kerosene price rose VND1,086 per liter to VND15,971 per liter. The highest price of mazut oil was VND15,210 per kilogram, an increase of VND1,127 per kilogram. The allocations of the fuel price stabilization fund were also adjusted. Particularly, subsidies for E5 RON92 gasoline and RON95-III gasoline were cut to VND2,042 per liter and VND1,304 per liter from VND2,801 per liter and VND2,06 per liter respectively. 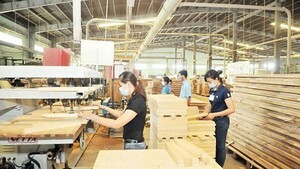 While those of diesel oil and kerosene were reduced to VND0 per liter from VND1,343 and VND1,065 per liter in tandem. Allocations for mazut oil were down to VND362 per kilogram from VND1,640 per kilogram. As global fuel prices had continuously climbed in the past few days, the ministries were forced to adjust domestic retail fuel prices. The weighted average marginal tax rate applied in the basic fuel price formula of gasoline was 10 percent; of diesel oil was 0.28 percent; of kerosene was 0.11 percent; and of mazut oil was 3.21 percent. It was 10 percent, 0.85 percent, 0.13 percent and 3.04 percent in that order in the first quarter of this year. The proportion of gasoline from imported and domestic production sources for calculation of special consumption tax in the basic fuel price in the second quarter was 23.28 percent and 76.72 percent respectively. It was 6.83 percent and 92.17 percent in the first quarter. Petrol prices Ministry of Finance Industry and Trade.